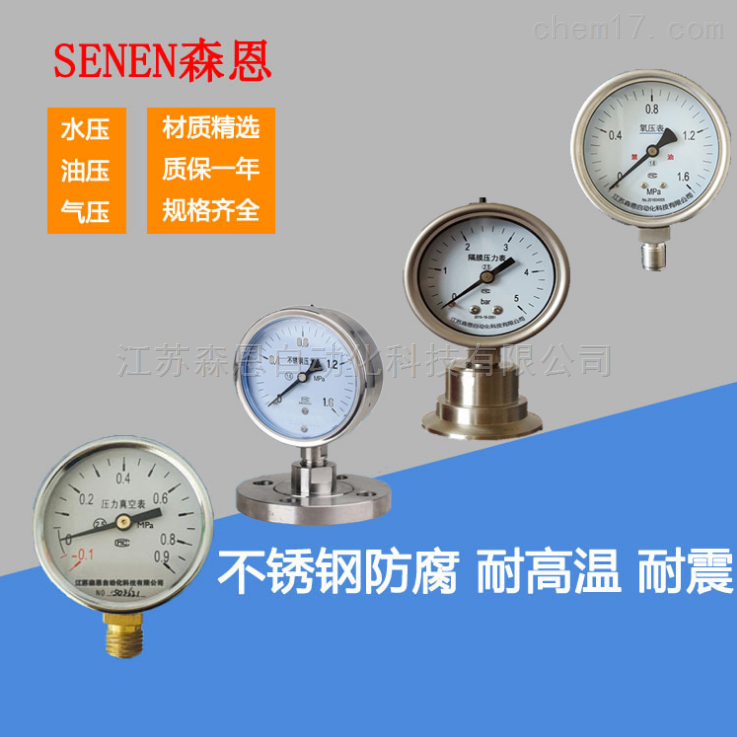 Y series All stainless steel pressure gauge The overall structure and reasonable design, fine craft, With high measurement precision and lasting stability, So not only can provide export, Especially the domestic users to the imported instrument of foreign advanced technology and equipment in the To achieve the ideal accessory products localization. Yseries All stainless steel pressure gauge By the pressure guide system (including joints, spring, limiting screws), The gear transmission mechanism, showing the number of devices (pointer and dial) and the housing (including watchcase, table covers, table glass) formed. The shell is hermetically sealed structure, Can effectively protect the internal components from environmental influences and dirty invasion. For in the shell filled with liquid (usually a silicone oil or glycerin) instrument, Resistant to environmental vibration is violent And the influence of pressure pulsation reducing medium.